The son of former VP Atiku Abubakar, Aminu was today locked in court cell on the order of a judge for disobeying an order by Chief Magistrate Kikelomo Ayeye over the custody of his 6-year-old son Amir Abubakar, whom he forcefully snatched from his estranged wife, Fatimo Bolori. 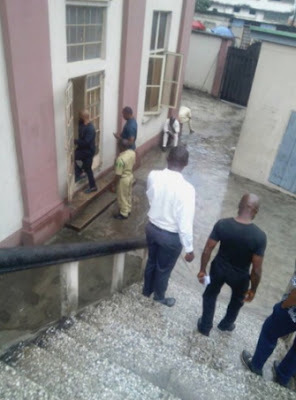 See photos of the ‘rich kid’ walking humbly into his cell this afternoon. 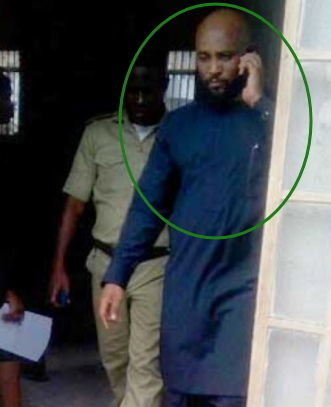 Can u imagine these Idiotic fool making phone call while being paraded,only in Nigeria whr things like him thinks they’re above the law. I can imagine the society wedding and then this! Generation of wasters!